Soups are easy and perfect for lunch or dinner, and today we two interesting and delicious recipes that you might not have tried before. We’ll show you how to make creamed peanut soup and cream of potato soup. Check out the recipes below! 1. Cook onion and celery in vegetable oil until tender but not brown. 2. Stir in flour until well blended. Add chicken broth, stirring constantly and bring to boil. 3. Remove from heat. Add peanut butter and evaporated milk, stirring until blended thoroughly. 4. Return to heat but do not boil. 1. Brown onion and ham in vegetable oil for 5 minutes over low heat. 2. Add milk and corn. 3. Simmer 5 minutes and add potato flakes. 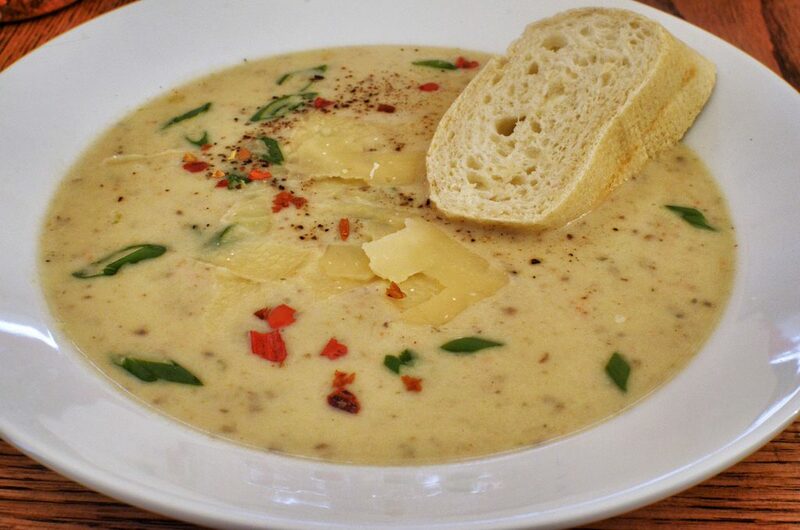 Are you planning to make any of these yummy soups ? Let us know in the comment section below; we love hearing from you! More homemade recipes you might have missed. Check them out below!